As reported by Deadline, HBO has just announced the premiere date for season three of True Detective, the spooky mystery show that was very good for one year and then very forgettable for another. 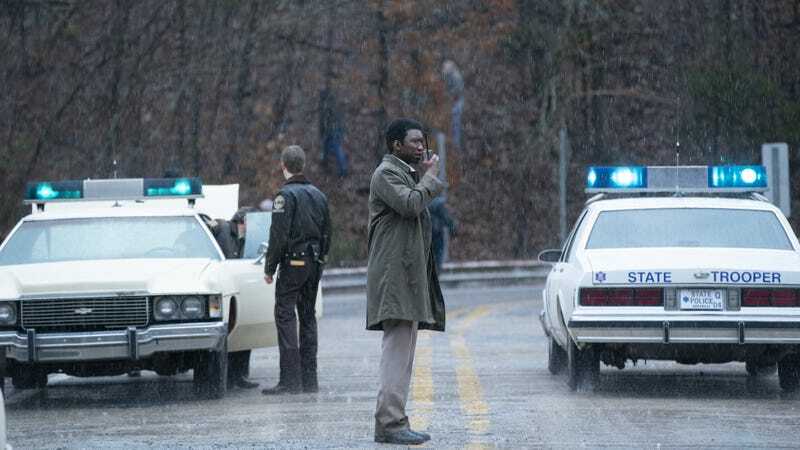 Hopes are riding pretty high for this new season, which is going to center on Mahershala Ali and Stephen Dorff as detectives in Arkansas trying to solve a “macabre crime” across three timelines (take that, season one’s two timelines) and we’ll finally see if the hype was worth it when the first episode debuts on January 13. The first two episodes were directed by Jeremy Saulnier, and every episode was either written or co-written by series creator Nic Pizzolatto. Also, since premiere dates aren’t super exciting on their own, HBO has released some preview images that you can pick apart for clues to whatever the macabre crime is going to be. Based on this evidence, we’d have to guess that it involves a wooded area, some kind of gym, and a series of miniature trucks.